It seems that when many outsiders think of the nation of Israel, they think, Middle East, desert, dry, a general lack of flora and fauna. Actually, compared to other Middle Eastern nations, Israel is very verdant, with a wide diversity of natural beauty. Still, it is true that Israel has a very arid environment and is comparatively less populated with diverse animals than many other countries around the world. Yet the Bible paints a very different picture, one with lions, bears, leopards and ostriches. Around 100 different creatures are described in the Bible, most of which are described as native to Israel or the Middle East. 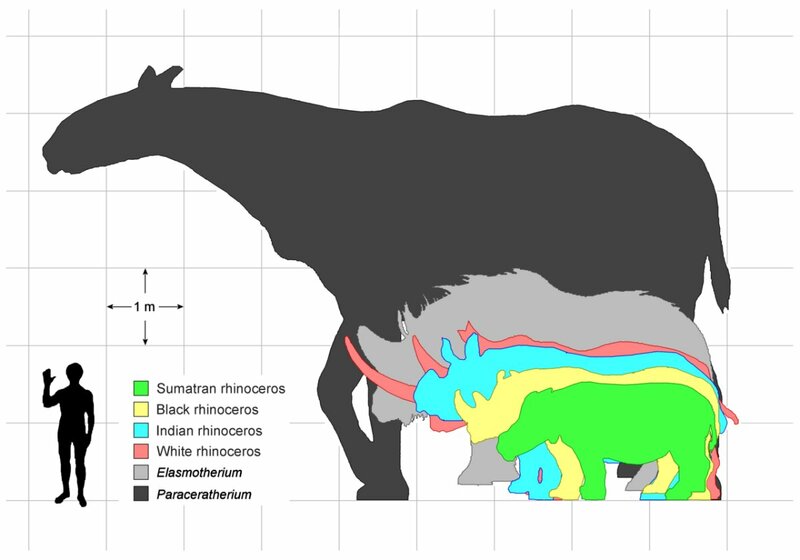 Could such exotic animals really have lived in this territory? How did the ancient biblical writers even know about some of these animals? Let’s look at some of the animals that actually did roam the land of Israel and the wider Middle East thousands of years ago, during the periods in which the Bible was written. Lions are featured regularly throughout the Bible, both in symbolism as well as historical reference. Samson killed a lion with his bare hands on a journey to the then-Philistine territory of Timnath (Judges 14—click here for a tantalizing artifact referencing this “duel”). David killed a lion while protecting his father’s flocks in Bethlehem (1 Samuel 17). A disobedient prophet was killed by a lion in Bethel (1 Kings 13). Lions are, in fact, referenced over 150 times in the Hebrew Bible. But really, lions in Israel? Actually, lions did once flourish in and around the Holy Land. 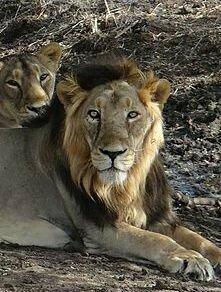 The species is known as the Asiatic lion. They are believed to have become extinct within Israel at the time of the Crusades—around 1200 c.e.—and became extinct in the wider Middle East during the 20th century. These animals can now be found only in the Indian state of Gujarat, and they are endangered. Modern examples of these lions are about the same size as central African lions, with males weighing up to 200 kilograms (440 pounds). However, a 17th-century Indian emperor reportedly killed a beast weighing just over 300 kilograms (660 pounds). This gives some idea of the potential size of beasts faced by Samson and David. 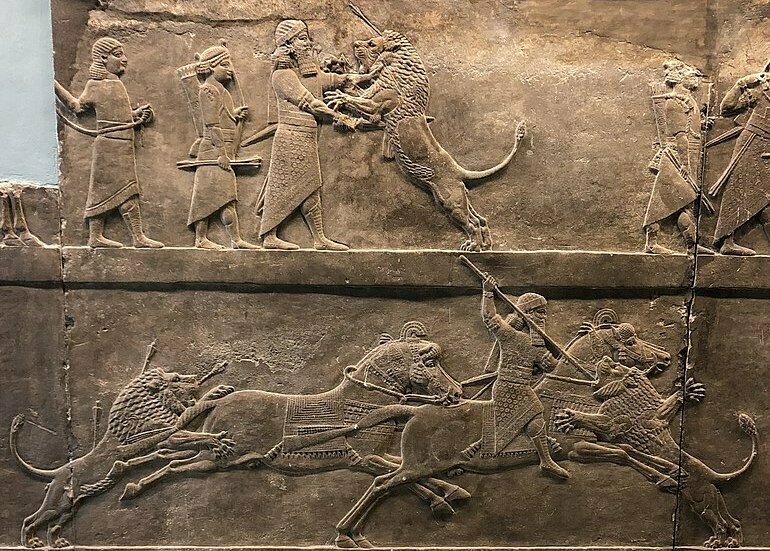 A Nineveh palace relief in the British Museum depicts Assyrian King Ashurbanipal hunting lions (645–635 B.C.E.). Bears are mentioned 12 times in the Hebrew Bible. David, again, killed one while protecting his father’s flocks (1 Samuel 17). And two bears attacked a group of wild youths harassing the Prophet Elisha (2 Kings 2). 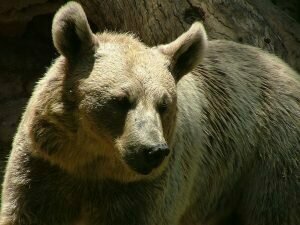 The bear species of this region is known as the Syrian brown bear. 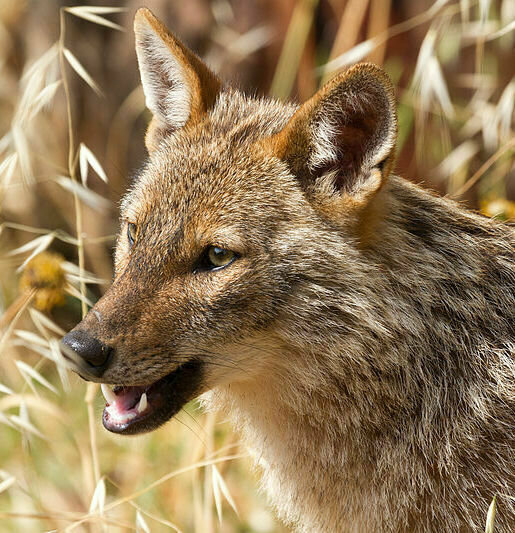 And while it is believed to be extinct in Israel, examples still live within the region of Turkey, Iraq, Iran and even as far south as Syria and Lebanon (although sightings are incredibly rare, due to poaching and habitat loss). The Syrian brown bear is the smallest species of the brown bear family, yet these animals still weigh up to 250 kilograms (550 pounds). These animals are mentioned six times in the Bible. None of the references depict literal historical events relating to leopards, but rather give metaphorical or prophetic contexts. Leopards continue to live in Israel. 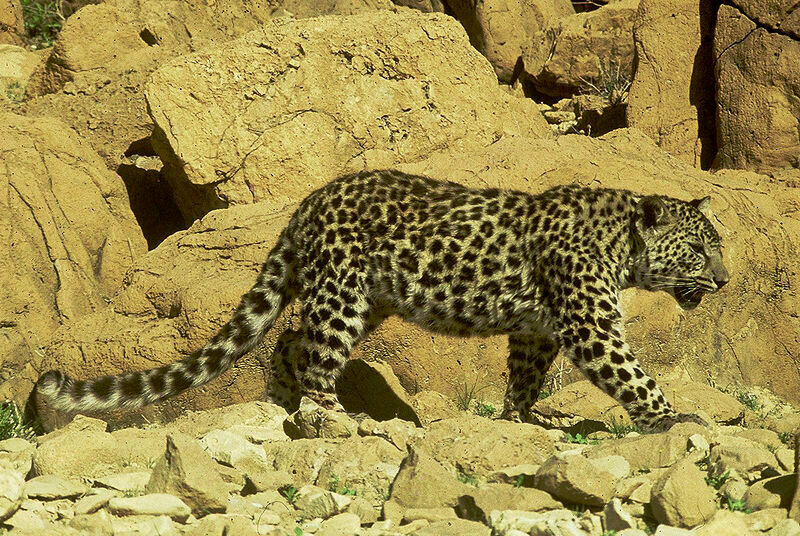 Known as the Arabian leopard (also as the Judean desert leopard within Israel), this species is limited to the Arabian Peninsula, dispersed across such areas as Israel, Saudi Arabia and Yemen. It is the smallest of the leopard family, but is still the biggest wildcat in the Arabian Peninsula. An estimated 200 of these leopards remain in the wild, making their status critically endangered. The following animals are not necessarily unusual in themselves, but they are all unique, for various reasons, in the way they are described—or misinterpreted—in the biblical account. I beg of you to tell me by what dexterity Samson took 300 foxes, and tying them together tail by tail, put a firebrand in the midst between two tails, to set on fire the corn of the Philistines? The fox is only an inhabitant of woody countries, there were no forests in this canton, and it appears rather difficult to catch 300 live foxes and tie them one to each other by the tails. The primary “impossibility” of the account is the fact that foxes are solitary animals. Thus, finding 300 of them on one occasion is rather outlandish. Camels are not an unusual animal to Israel. However, we mention them here because they have been the subject of much biblical criticism. The reason? The Bible describes Abraham and Jacob owning camels. According to zooarchaeological research, domesticated camels didn’t come to Israel or the wider Levant until c. 930 b.c.e., nearly 1,000 years after the period of the patriarchs. This much publicized “proof against the Bible” has again, though, been shown to be a baseless argument. Abraham was not native to Canaan—he hailed from a land where camels had already long been domesticated. Further, the “conclusive” research was based upon a very small geographical area of excavation. And the Bible actually contains very little about camels during the early patriarchal period. Thus, the paucity of physical evidence of domesticated camels helps to confirm the biblical portrayal of this beast as a relatively unimportant early animal. Still, evidence does exist of much earlier camel domestication in the Levant. And further, the new research actually helps illustrate a wider regional shift, that is described in the Bible, that occurred circa 930 b.c.e.—the invasion of Pharaoh Shishak. Take a look at our article “Camels: Proof That the Bible Is False?” for more information on how camel remains actually prove the biblical account, rather than disprove it. It doesn’t get more “common” than sheep. Yet they deserve a mention, because their presence in the ancient Levant was somewhat unusual. Archaeological evidence shows that during the Middle Bronze Age (circa 2000–1550 b.c.e. ), sheep trading wasn’t particularly common in Canaan. The preferred livestock were goats, which were much hardier and a better fit for the environment. However, it was also during this time that the patriarch Abraham was on the scene. The Bible describes Abraham as a sheepmaster, owning large flocks. One of the primary locations in which he established himself was Hebron. Dating to this early Canaanite time period, a cuneiform inscription was discovered in Hebron listing quantities of sheep bought and sold to Semitic peoples in the land. One of these individuals could have been Abraham himself, or perhaps one of his children or grandchildren. (It is interesting that whenever you find Israelites, you seem to find sheep.) Again, this helps to further illustrate the accuracy of the biblical account. In summary: The Bible is history’s most misunderstood and maligned book. But whether you believe it or not, it certainly has to be regarded as history’s most incredible work. The Bible truly is a remarkable, dynamic, multifaceted book. It contains history, prophecy, laws, poetry and advanced scientific and medical knowledge only recently “discovered.” And as described in part above, it is a zoologist’s and botanist’s dream in describing ancient flora and fauna. 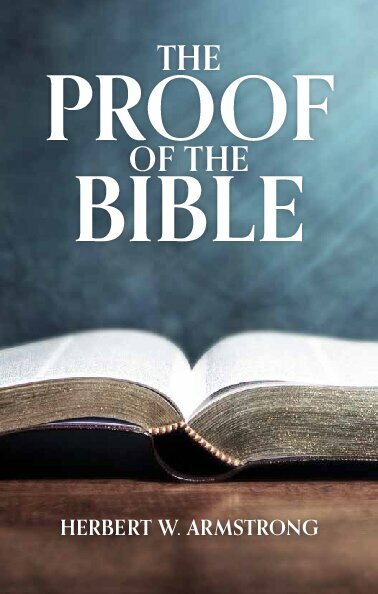 Click the image to read or request a free copy of The Proof of the Bible. Written over the course of more than 1,000 years by dozens of writers across multiple countries, the Bible still retains the title of most popular and most translated book in the world. More than 2.5 billion copies have been sold, and it has been translated, at least in part, into more than 2,000 languages. The Bible truly is a unique book. And for such a unique book, perhaps there is more inspiration to it than meets the eye.